Fluorocarbon has been the fastest growing segment of the line industry. 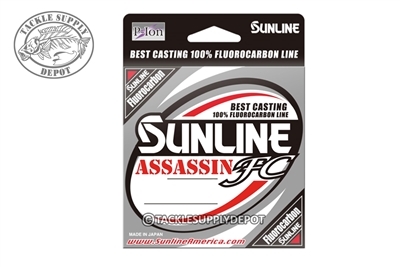 Model FC is Sunline's entry level FC product designed to gives anglers an affordable and dependable way to stay spooled up one reel or use for leader line at a low retail. Offering low stretch and abrasion resistance only expected out of fluorocarbon and conveniently offered in a 110 yard spool size specifically ideal for filling most low-profile baitcast reels one time. If new to using fluorocarbon lines the Sunline Model FC is an excellent and cost effective choice to get started with.